There has been a huge outpouring of sadness about the death of Dan Wheldon and a great deal of soul searching by many race fans who have never watched a young man die behind a wheel before. My first emotion as it usually is in these cases is anger that yet another driver has died in a preventable impact and in a clearly predictable set of circumstances. 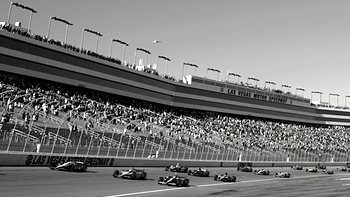 Many people said in the run up to the race at Las Vegas that Indycars should not run at that track including many of the more experienced and intelligent drivers, including those who have lost close friends in racing accidents. Yet as in so many cases intelligent, reasoned argument was ignored. Top level motor racing has become totally complacent about death as it does when we have long spells of drivers walking away from horrific accidents but eventually that has to come to a crashing halt when someone dies and then there will be the wringing of hands and statements about how things will be different in the future. At times like these I find myself running through all those I remember dying before. Time plays odd tricks on your brain where reality is blurred by our own perception and our own viewpoint. Dan Wheldon dying at 33 to me seems like he has barely had time to get used to being an adult. Ayrton Senna at 34 seemed very much older and in the prime of his life where Gilles Villeneuve at 32 was older still and Jim Clark at 32 was positively middle aged. Yet they were all the same age and the only things that have changed are my age at the time and the fact that people are younger now than people the same age then. Rather than waxing philosophically though I tend to concentrate on how to prevent anything like this happening again. Some people will say that it is too early and IndyCar has a 5 month off season but that, I am afraid, totally misses the point. Many of us spent much of the weekend watching an F1 race in Korea. F1 is totally complacent about safety. I can almost hear the outcry from people saying how much effort goes into safety but look at the facts. How did Charlie Whiting ever issue a safety certificate to a track where the pit lane feeds into a braking zone on the racing line? It doesn’t take a lot of imagination to work out what would happen if someone had brake failure and was travelling at close to 200mph just as someone arrived in front of them from behind the pit wall. Alex Zanardi at Lausitzring springs instantly to mind. Imagine what would have happened if two or more cars tangled in the braking zone and one had been airborne as a driver emerged in front of it or what would have happened had Sunday been as wet as Friday and drivers were aquaplaning off the track totally out of control in that area. How did the pit exit ever get to the stage of being built especially after all the pit entry and exit issues that blighted Singapore? Surely motor racing is supposed to learn from its past. The pit lane exit was something we discussed this weekend but we don’t seriously expect anything to be done about it even though it is incredibly dangerous. It is now 2 years since Felipe Massa had his horrific accident in Hungary and what has F1 done about that? After 2 years they have done nothing to the cars but now they have added a strip to the driver’s helmet above the visor. On the face of it this may seem a good idea but the helmet should not be a primary safety device. Something hitting a helmet should be the absolute last resort because the helmet is wrapped round the driver’s skull and his skull is balanced on a tiny, little bone and that area is packed with all sorts of vital conduits. A human hand can do terminal damage to that area let alone bits of metal, carbon or rubber arriving at 150mph. After the accidents to Massa and Henry Surtees there were the same outpourings we have had in the last few days but nothing has been done to prevent Surtees’ accident happening again and nothing sensible has been done to prevent a repeat of Massa’s. The helmet strip was something we discussed this weekend but we don’t seriously expect anything more to be done about it even though it is incredibly dangerous. If top level motor racing had responded properly to Felipe Massa’s accident and for example mandated Top Fuel dragster roll cages on all top level single-seaters Dan Wheldon may not have died. I don’t intend to go into the whys and wherefores of the accidents that befell Wheldon and others in Las Vegas because the facts are fresh in everyone’s mind and will remain clearly etched there for years to come. BUT! The factors that caused those accidents were clearly identified long before the race but as in other cases in the past complacency and the blind belief in the credo that racing is safe now allowed the race to proceed and the events to unravel as we saw. IndyCar is far from alone in losing one of its drivers as a result of complacency and blind faith. Many people have watched the Senna movie recently and his fatal accident has been analysed by the world and his uncle. There have been all sorts of theories about modified steering columns, low tyre pressures and driver error etc but none of those are remotely relevant because, and this may come as a surprise to many, Senna’s accident was not only the most predictable in motor racing history but exactly the same accident had happened at exactly the same spot twice before. Several years earlier Nelson Piquet’s car hit the same unprotected wall. He was lucky as he walked away. Now a reasonable person would say that a sport that treated safety seriously would see a skilled driver was unable to prevent his car hitting an unprotected wall and think that they had better put some tyres in front of it at least but no-one had died in a race since 1982 and although Elio de Angelis had died in testing in 1986 and other F1 drivers had died in sportscars F1 was safe now so no need to worry. A year or two later Senna’s great friend Gerhard Berger hit the same wall in his Ferrari. I remember that like it was yesterday where I have no memory of Piquet’s accident. The reason I remember it is that, like many millions of others, I watched as the car slammed into an unprotected stone wall and for once the driver did not pop out and sprint away as we had been used to nor did marshals immediately arrive. Instead Gerhard was slumped in the cockpit and as we watched the car erupted in flames. I can still hear Murray Walker’s voice as he spoke in hushed tones as we watched Gerhard burn. Many of us thought he was dead. Murray Walker clearly thought that was at least a strong possibility. Fortunately marshals eventually arrived and he was removed from the car with nothing more than burned hands. He went back to the scene of the accident some time later to see how to prevent the same thing happen. He may have been the ultimate practical joker who took nothing seriously but Berger took safety seriously where many others assume it will be OK. He asked if the wall could be moved back but there is a river behind it and that was deemed impossible so he accepted the situation. Nothing could possibly be done to improve it. Until Senna died. Then the track could be re-designed. Why does it take a death before the sport gets serious about safety? You have to ask why the sight of a popular Ferrari driver apparently burning to his death live on TV to a global audience was not enough to get something done. If something had been done Senna may not have died. I remember Greg Moore dying needlessly against a similarly unprotected wall. Greg was a great friend of Dario Franchitti’s and was very popular with everyone. The thing that was immediately obvious to me on TV was that the wall I had never noticed before was at the wrong angle. Literally the second he hit the wall I said if that wall had been angled away he would have just slid along it. Instead however he had a massive impact and died. Anyone remotely competent doing a circuit inspection should have spotted that and insisted that it was changed. And don’t believe for a second that modern circuits are squeaky clean. I am sure many people reading this will not believe me when I say top level motor racing is totally complacent about safety so let me mention a couple of incidents we watched and discussed earlier this year. We all remember Allan McNish’s Le Mans accident which he was lucky enough to walk away from. His car came very close to clearing the tyre barrier. Now it may be stating the obvious but the tyre barrier exists to stop runaway racing cars. It may be obvious to any reader and you may be asking why I would make such an obvious point. I make it because right behind that barrier in an area where it is totally predictable that there would be a stream of debris in the event of an accident and in this case we almost had a mostly complete Audi landing, there were people standing around and at least one motorbike parked. We could easily have multiple fatalities in an area where there should not be any people. How can anyone issue a safety certificate to a track that allows people in that area? Does anyone remember Tony Kanaan’s crash earlier this season when his Indycar hit a tyre barrier and knocked down a portable toilet? Words still fail me on that one. Imagine the press coverage if someone died in a toilet after being hit by a racing car. How can anyone issue a safety certificate to a track that has portable toilets touching tyre barriers? We recently saw Michael Schumacher vault his car over another in Singapore. That is always a risk in open wheelers. It is entirely preventable but nothing will be done till someone else dies as a result because people are romantically attracted to open wheel racing just as there is something magical about a driver’s head being exposed and vulnerable. We lost Gilles Villeneuve because his car vaulted over the back of another just like Schumacher’s did. 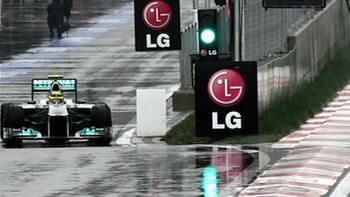 The difference was Schumacher walked away. If motor racing had reacted properly to Gilles and mandated wheel protection no driver would ever have been launched over the back of another again and Dan Wheldon may not have died. I have been told by so many people that safety is treated seriously and I must be ignorant not to know of the improvements. There have been massive improvements and there will be many more but that does not mean that every possible opportunity to learn from previous events should not be taken and people should also understand the risks that result from improved safety. We recently watched the Japanese Grand Prix where at the start Sebastian Vettel performed the now acceptable Schumacher chop and forced Jenson Button on to the grass. That move is only accepted now because the cars are so safe. Go back to Gilles Villeneuve’s day and any driver trying that would have been slaughtered by the other drivers and the authorities. For now though it is acceptable to put another driver on the grass and it will likely remain acceptable until the driver on the grass loses control and spins across the track in front of 20 cars in a braking zone where carnage will ensue. Human nature in sport is to take as much risk as is perceived to be safe. Competitive people by their natures will push the limits so they will use the Schumacher chop because it is safe and no-one will get hurt and they will put their cars in positions where another driver has to choose whether or not there is contact. This is not confined to motor racing. Many years ago American football made helmets compulsory to avoid head injuries to players. As the players became more and more confident in the helmets as helmet technology improved they started using helmets as a weapon. Where before players tried to protect their heads they resorted to spearing tackles where rather than using hands and arms they literally launched themselves head first into an opponent. Eventually of course that practice was banned but it demonstrates that improving safety has consequences and sports officials have to understand those and deal with them. F1 officials clearly have not evolved to that point yet. They will punish a driver for minor contact that results in a broken wing or a damaged tyre but not for forcing another driver off the track at 150mph. They routinely punish accidental contact like Petrov on Schumacher or Lewis Hamilton on Massa but ignore deliberately endangering another driver. I apologise if people find some of this too graphic but I have spent so many years arguing in favour of improved safety only to be met with objections from people with ridiculously romantic notions about open wheel cars with the driver’s head exposed and a glamourised view of danger. There is nothing romantic about watching young men die in predictable preventable accidents. Motor racing is dangerous. It says so on every piece of paperwork anyone ever touches that relates to an event. It is written on the tickets that let you in and it is on signs within the circuit. Motor racing will always be dangerous but it is time that something was done to prevent totally predictable and preventable accidents. It is time motor racing stopped saying it treats safety seriously and started doing it.